A wonderful piece that would be great for yourself or a special someone on Valentine's Day or any day! The bracelet measures out to 6.5'' around. It has a matching necklace that could be sold with it too. A must have in your jewelry collection. It could even be worn for everyday occasion or to dress up an outfit. ►Handcrafted in our shop in the South End, Boston Massachusetts. ►And Follow us on social media to keep up on my new arrivals and special offers! 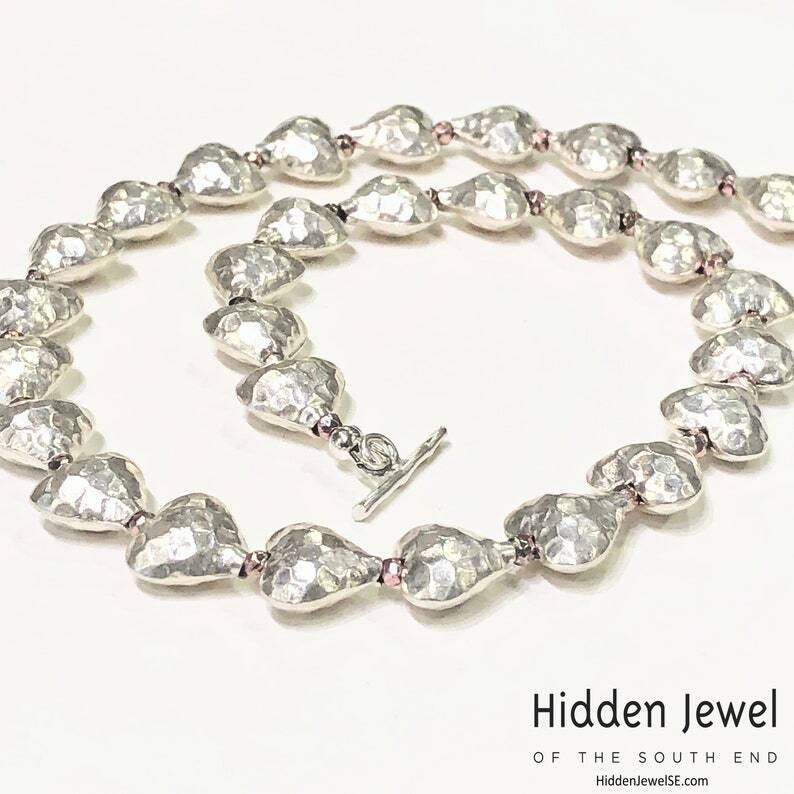 ► Hidden Jewel has competitive pricing on all our products! As a direct buyer of metal stones and crystal from around the world, we have access to many varieties of stones and metals in both small and bulk quantity, keeping our prices on point!All Jewelry is carefully packaged for a speedy and safe arrival and is packaged in a gift box tied with a ribbon. all our items are packaged nicely but if you would like to send as a gift, convo me and we can even package with a card at no additional charge! *Photos are copyrighted and property of Hidden Jewel and any unauthorized use is prohibited. We are proud of our ideas and originality.